Dave Weckl (born January 8, 1960) is a highly acclaimed jazz fusion drummer. Weckl attended Francis Howell High School in St. Charles, MO and graduated in 1978. He majored in jazz studies at the University of Bridgeport in Connecticut. Starting out on the New York fusion scene in the early 1980s, Weckl soon found himself working with artists such as Paul Simon, Madonna, George Benson, Michel Camilo, Robert Plant and Anthony Jackson. His most famous early work though, where his popularity blossomed, was with the Chick Corea Elektric Band from 1985 to 1991. Weckl spent a total of seven years with Corea, during which he performed on numerous albums and also appeared with Corea's Akoustic Band. He augmented his work with Corea by continuing his session work and appearing often with the GRP All-Star Big Band. In addition, he recorded four albums in 1988 and 1989 with the Manhattan Jazz Quintet. Weckl has also released a series of instructional videotapes, and in 1990, he led his first solo date, Master Plan, for GRP. Heads Up followed in 1992, as well as Hard-Wired in 1994. After leaving Corea, Weckl's recorded and toured with guitarist Mike Stern. 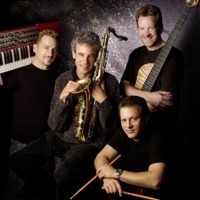 Under his own name, he has been the leader of ten recordings since 1990, seven of which as the Dave Weckl Band. Dave endorses Yamaha Drums, Sabian Cymbals and Vic Firth Drumsticks, all of whom he has assisted with the design of new products, such as Sabian's HHX Evolution and HHX Legacy cymbal lines. Around 1996, his style and setup radically changed, in large part because of his studies with Freddie Gruber.